If you havent heard of WebVR yet, its time to take notice. Its a relatively new product that lets you access virtual reality through a browser, bypassing the need to download heavy VR applications. Because WebVR doesnt need expensive hardware or software to work and is headset agnostic it promises to make VR available to a much wider audience than traditional VR applications have reached. Stephen White, Director at Georama, describes WebVR as having minimum friction and maximum access. And Sketchfab CEO and cofounder Alban Denoyel, points out that it lets content creators build and distribute VR experiences directly to consumers, at scale. But until quite recently, it has barely received any attention. Why? For starters, the headset manufacturers are playing out their own little version of Game of Thrones, fragmenting the VR space by each creating their own native build stores. The market pundits are following suit as they envision the first wave of consumer adoption as being hinged on gaming and entertainment. As a result, the VR industry continues to ignore WebVR, and developers forgo the most practical and accessible framework in favor of more powerful engines like Unity. Yes, Unity and other game engines are very productive tools. But theyre also mostly for game developers, says Tony Parisi, VR pioneer, serial entrepreneur, and angel investor. The process of packaging and deploying for app stores, and maintaining apps, is burdensome versus web publishing. Theres a rapid pace of change in hardware and software specs as manufacturers fight over market share, and that is also aggravating the situation. Developers are understandably having a tough time managing production cycles and release dates. The hardware is moving too fast for developers to keep up, Arthur Houtman, CEO at Force Field VR, told us. WebVR, on the other hand, exists where there are already users and traffic: the web. Its democratic, transparent, and cheap if not free. You get content a LOT faster as websites, says Michael Chang, Director at MinMax. Each Steam game experience requires buying, downloading, and some kind of initial process. On a website you visit, pop on the headset, and youre in. Of course, WebVR has its limitations. You wouldnt be developing Duke Nukem in VR for it, but it does represent the most flexible, feasible, and immediate vehicle for transporting the industry to a sounder commercial reality. 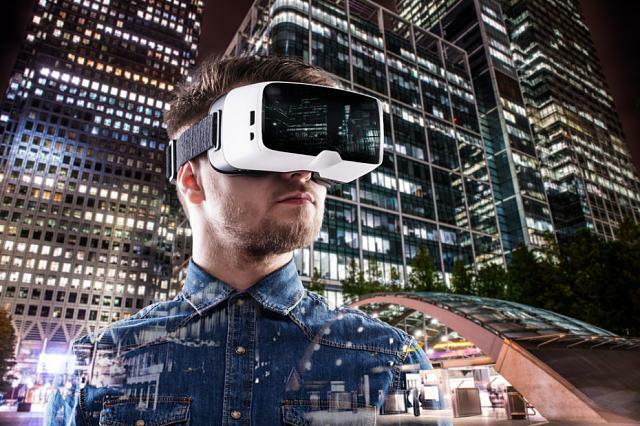 Developers who are not yet acquainted with VR will also find it to be the easiest way to enter the scene. The learning curve for game engines like Unity can be steep, but not so for WebVR. Even someone who doesnt own their own computer can go to their local library and get started, says Sean T. McBeth, Lead VR Engineer at NotionTheory. Mozillas A-Frame has made it even easier for web developers and designers to jump onboard the bandwagon by allowing them to build virtual reality experiences using an open source library that doesnt require knowledge of WebGL. 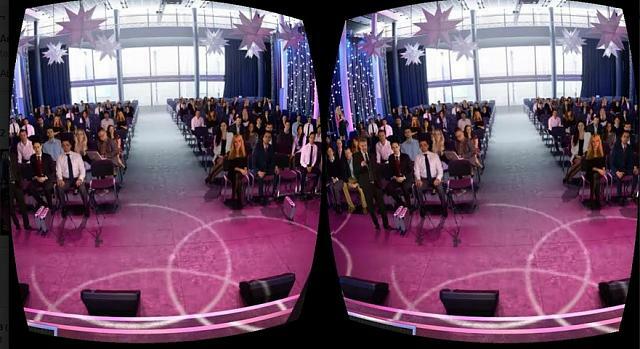 We recently encouraged our friends at VirtualSpeech to experiment with WebVR by taking one of their large conference hall simulations built in Unity and converting it into A-Frame. After spending several weeks with A-Frame and WebVR, Im beginning to see the huge impact they will have on displaying immersive content online. VirtualSpeech cofounder Dom Barnard told us. I found some limitations with the WebVR functionality. However in 6-12 months and with the backing of some huge companies, Im sure WebVR will be intrinsic to the future of the Internet. The limitations Bernard refers to relate directly to performance issues that he has experienced because his simulation contains highly rendered images and relatively large videos. The solution has been to carefully compress all of the assets in order to avoid unnecessary lag. But another limitation is that few content converters and editors are making content available on WebVR a gap were keen to see addressed in coming months. Amir-Esmaeil Bozorgzadeh and Mohamed Hamdy are cofounders of Virtuleap, a sandbox for creative developers to showcase their VR concepts to the world. They are running a 60-day online global WebVR hackathon this coming October as their initial approach to defining the practical applications of VR. I think it may becomes a part of the OSVR by Razer, I may give a Message to Min-Liang Tan to see if he sees it and what he think about it. News: VR/ARs biggest obstacle: Lack of content?